The PetroBlend Difference is our People. 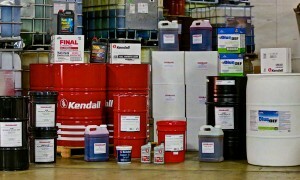 We have over 100 years of combined experience in the lubricant and filter business on our team. Several members have over 20 years in the industry. This means we have the knowledge of our products, and our customer’s needs, to insure our Customers get, the best product for their lubricant or filter application. 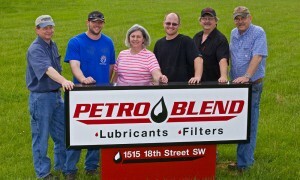 The PetroBlend Difference is our Products. We have a full line of commercial products from numerous major manufacturers, but what sets us apart are our PetroBlend Products. The PetroBlend products meet or exceed the manufacturer’s specifications, and save money without compromising quality or performance. Our blending capabilities also allow us to formulate specialized products for specific applications that may not be available, or are prohibitively expensive. The PetroBlend Difference is our history. The roots of PetroBlend reach back to a farm near Grafton, Iowa where the Fields family made soap with tallow and lye, and blended in oil to make wagon wheel grease. We don’t know when this started, but they moved the company to Mason City in 1914 or 1915. They started making lubricating oil for the exploding automobile market and it became known as the Northern Oil Company. In World War II the Northern Oil Company, like everyone else was consumed by the war effort. New facilites were built on North Jackson Street in Mason City, Iowa to fulfill a military contract for 1,000,000 pounds of multi-purpose grease in 1# containers. In 1946 Jess Fields passed away unexpectedly and the company was purchased by H.F. Goplerud who changed the name of the company to Goplerud Lubricants. Goplerud sold the grease formulations and took on the Kendall Oil and Baldwin Filter line to augment the Goplerud lubricating oils. In 1984 Goplerud retired and the company was purchased by Art Boyer and Doug Rozendaal. Rozendaal subsequently bought out Boyer’s interest and changed the name to PetroBlend. While the name has changed over the years, what hasn’t changed is over 100 years of commitment to our our customers, our products, and our employees. These are the attributes that make strong companies with long histories. So that’s the story of our first 100 years. We’re looking forward to the next 100.